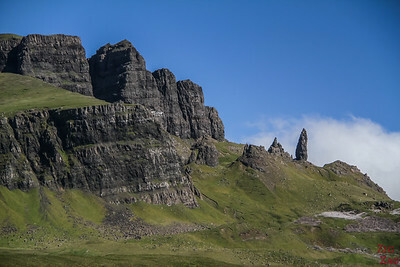 Let's plan your Scotland Itinerary ! I promise, wherever you go it will by scenic and breathtaking! In this guide you will find tips and suggestions for itineraries in Scotland for 5 Days, 7 Days, 10 Days and 14 days or more. Step by step with photos to picture yourself there! TIP 2 - Scotland is bigger than your imagine. Don't plan too much driving! 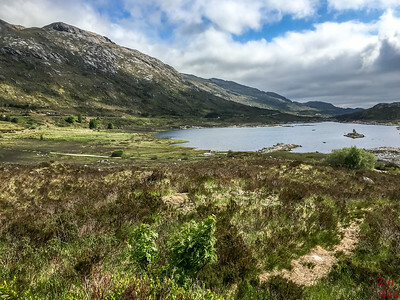 TIP 5 -Very often, roads around lochs do not really have a great view because of private land or the many trees along the shores. 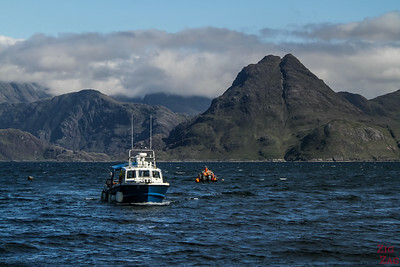 Below is a first option of a Scotland Itinerary 7 days - It focusses on Scenery and landscapes in the East Highlands. 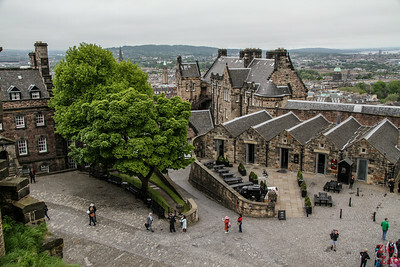 Enjoy a day in Edinburgh with its Scenic highlights - you can check out my article about the things to do in Edinburgh. Go at opening times to avoid queueing too long. 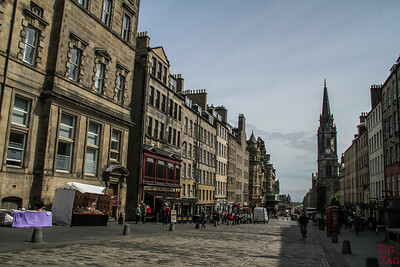 Enjoy the atmosphere of the old town with the wide royal mile and the narrow alleys on its sides. 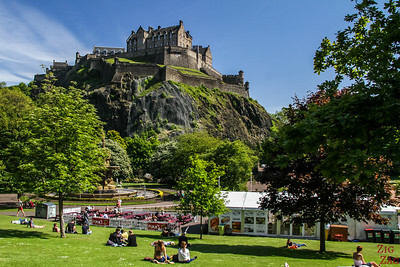 Escape the old towns and walk along Princes Street for amazing views of the old city and castle. Have a relaxing break in the Princes Street Gardens. 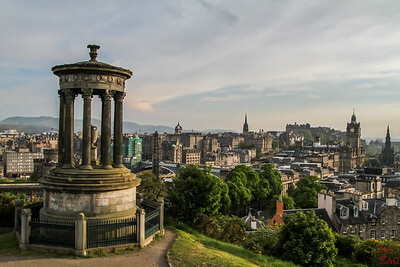 Climb to the top of Carlton Hill for some of the best views of the city. The light is great at sunset! 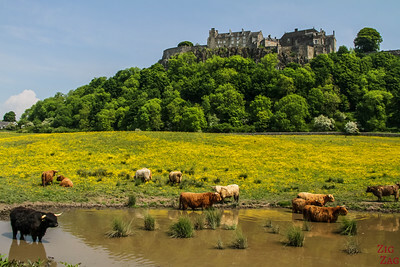 Short break to admire the Stirling Castle from the road - because you drive really close by on the main road. 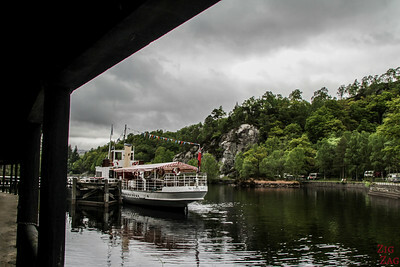 Enjoy a relaxing 1h cruise on Loch Katrine on the historical steam boat Sir Walter Scott. 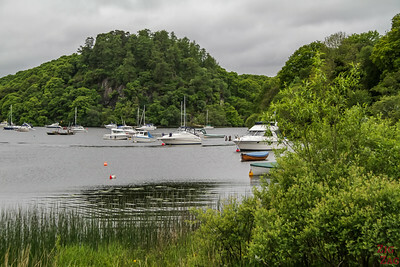 Drive in the Trossachs to Loch Lomond - Stop at Balmaha and enjoy a nice walk. 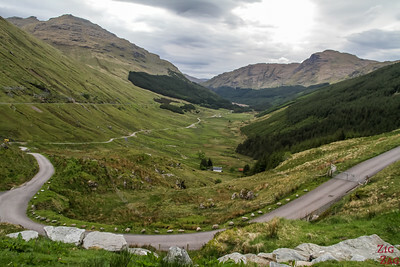 From Arrochar, head West through the Argyll forest. Stop at the viewpoint and continue through the scenicGlen Croe. 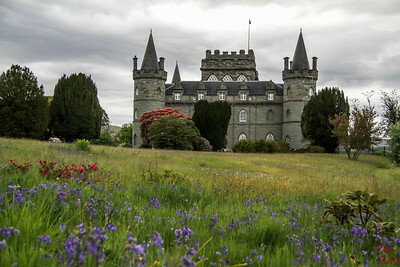 Drive to Loch Fyne and explore Inveraray Castle, a green enchanting castle with a beautiful park. Continue Driving West and admire the Northern Part of Loch Awe with its summits and the ruins of Kilchurn. Explore the North head or drive South along the Loch. Drive back to last night accommodation. 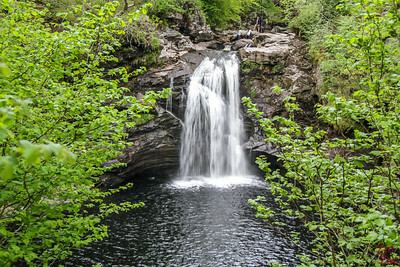 Enjoy a short stop to admire the Falls of Falloch. Parking along the road and only 5 minute flat walk. Continue driving on A82. Enjoy the stunning scenery. Have a break at Loch Tulla Viewpoint. 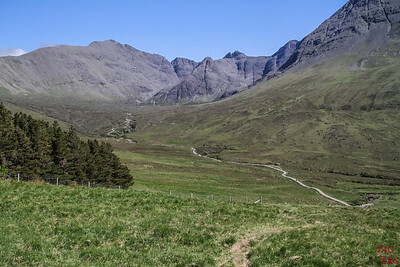 Continue on A82 and enjoy the drive towards the high summits. 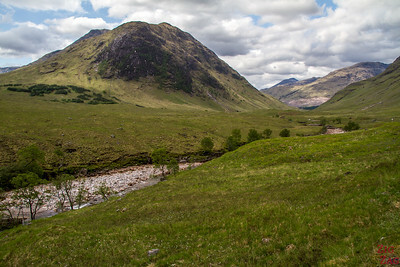 At the foot of Buachaille Etive Mor, turn left and drive Glen Etive all the way to Loch Etive. 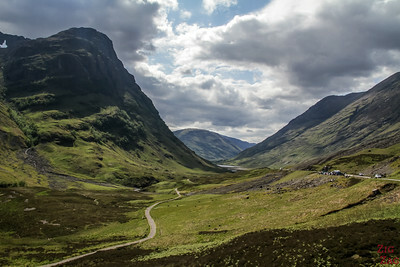 Drive back towards A82 and continue through Glen Coe. Enjoy the many scenic stops with the 3 sisters, the waterfall and Loch Atriochtan. If sleeping in Kinlochleven, turn right before the bridge and start enjoying the wonderful views of Loch Leven. 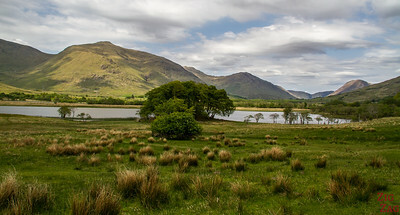 Admire my favorite Loch in Scotland: Loch Leven and its high summits all around. The road takes you all around with several viewpoints. Continue on A82 towards Fort William. Turn left towards Mallaig on the Road to the Isles. Enjoy the scenery and stop at Glenfinnan. 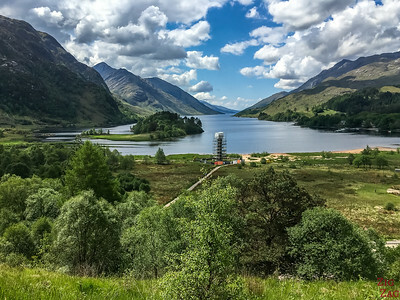 After a short climb you will have a great view of both Loch Shiel and the Glenfinnan Viaduct. 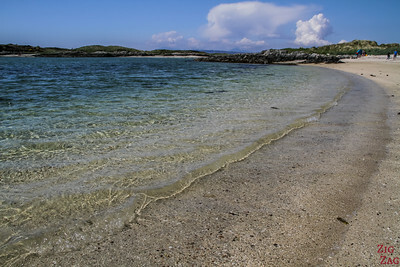 Continue towards Mallaig and explore the beautiful nearby beaches with views of several Islands. 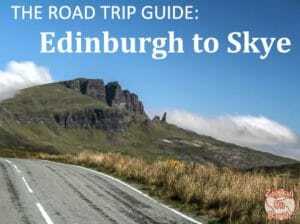 Most suggestions for an Scotland itinerary 7 days, would at this point take you to Loch Ness and Inverness. I think those are boring compared to the route I suggest, but it is only my opinion. Drive back to same road towards Fort William. On a clear day you can see Ben Nevis very well. 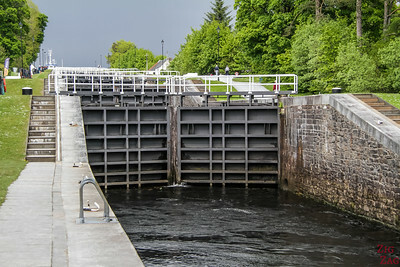 Stop at Fort William to have a look at the Neptune Staircase and head Nord driving through the Great Glen and Caledonian Canal. More info on the Loch Cluanie and Glen Shiel article. 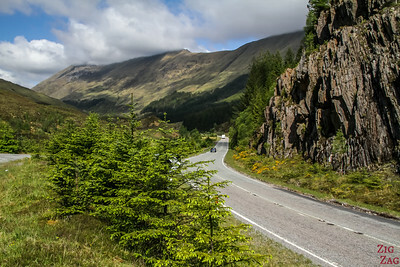 Continue on A87 and drive through the scenic Glen Shiel. Many stops to admire the landscapes, especially the 5 Sisters of Kintail. 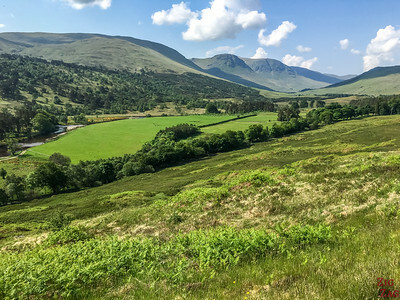 You can turn at Spean Bridge towards Cairngorms National park and fo South at Laggan towards Perth to enjoy a different scenery. From Day 1 to Day 6 of this Scotland Itinerary 10 days, copy the 6 first days of the Scotland Itinerary 7 Days above. From Day 1 to Day 9 of this Scotland Itinerary 14 days, copy the 9 first days of the Scotland Itinerary 10 Days above. 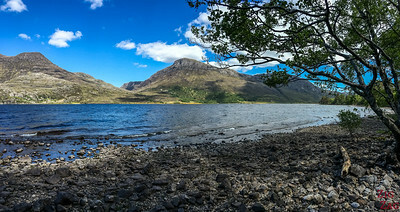 Drive through Glen Carron and reach the magnificent deep blue Loch Maree. 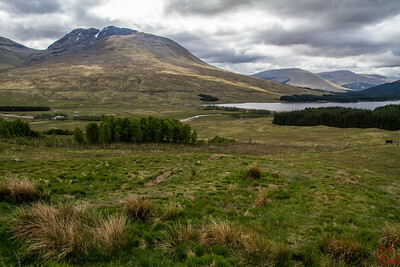 The loch is mostly wild with beautiful forest and summits around. 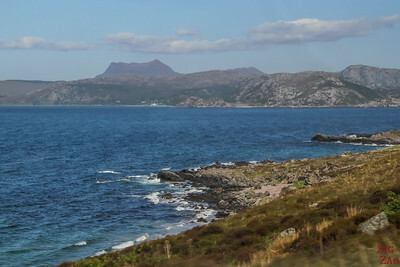 Driving through Wester Ross is stunning, inland in the Glen or near the Coast the landscapes are varied and impressive. 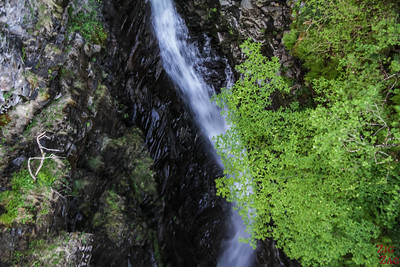 The Falls of Measach not far from Ullapool are very impressive. Especially as a bridge allows you to walk over the deep gorge with a perfect view of the waterfall. 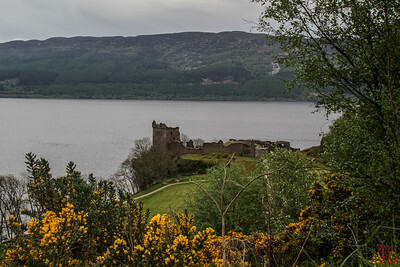 A Scottish Castle, the ruins of the Urquhart Castle are located on the shore of the famous Loch Ness. If you are a fan of Nessie, get on a cruise and take your binoculars! 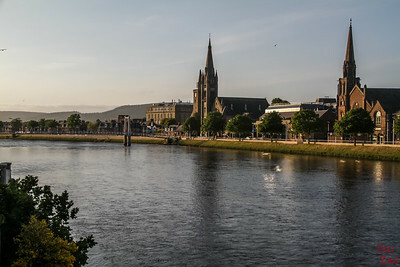 Inverness has very enjoyable atmosphere. Enjoy a walk along its river in the center, and appreciate the peaceful large streets and stunning houses. No Scottish trip is complete without some distilleries. 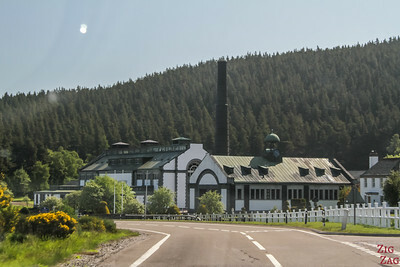 Some of the best are located in the Speyside countryside East of Inverness. But don't drink and drive! 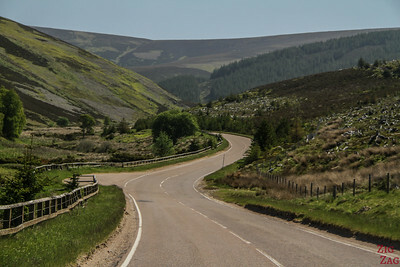 Take your time to drive through Cairngorms National park on the Old Military road. 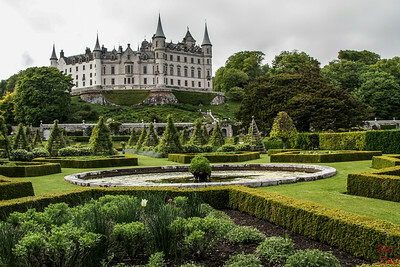 Enjoy the landscapes and maybe visit Balmoral Castle or ​Braemar Castle. 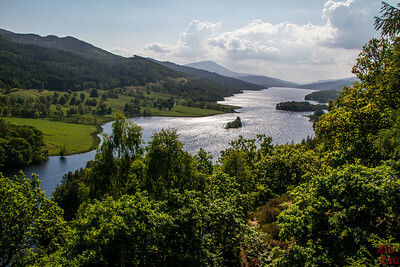 Considered one of the most beautiful views in Scotland, the Queen's view overlooks Loch Tummel just South of Cairngorms. This long and beautiful Glen is more off the beaten track. The Road is mostly clear of trees with magnificent views of the valley. 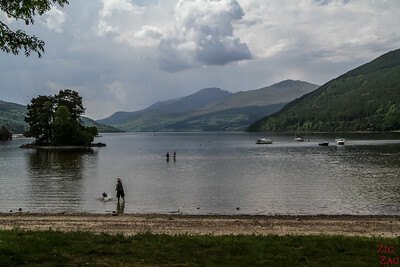 Just South of Glen Lyon is the stunning Loch Tay. With roads along both shores, the views are splendid (when the trees clear). I think the old abbeys of the Borders region are stunning. But if you prefer cities, spend the day in Glasgow. 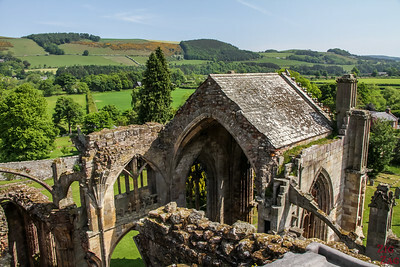 Discover the beautiful Melrose Abbey and climb to to the top for a great views of the Surroundings. 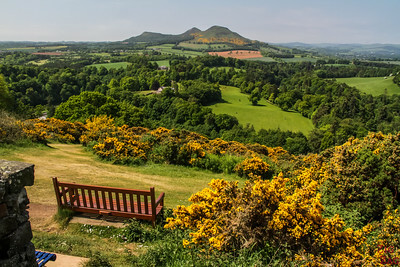 Drive up a little to discover one of the favorite view of Scottish Writer Scott. 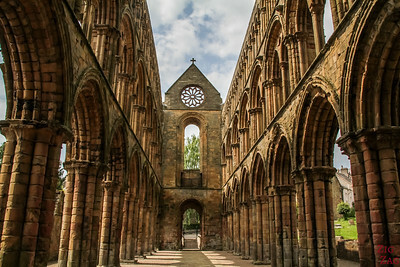 And to finish, my favorite abbey: Jedburgh. A great place to explore and many fascination perspectives. 5 Days is very short to explore Scotland. 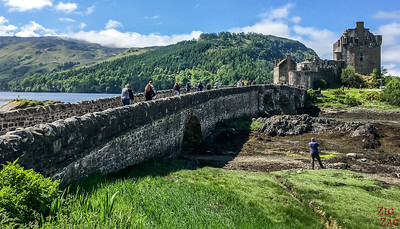 But to give you an idea of Scotland here is a suggestion for a Scotland Itinerary 5 Days with The main cities, some of the most beautiful and famous landscapes, and a little bit of history. Complete a First day in Edinburgh Similar to Day 1 of the 1 week Scotland Itinerary or select activities in my list of things to do in Edinburgh. 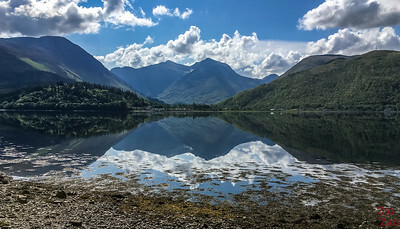 Drive through the North of the Trossachs (A84, A85) and explore Glen Coe and Glen Etive​ (A82) as per Day 4 of the Scotland Itineraries 7 Days above. 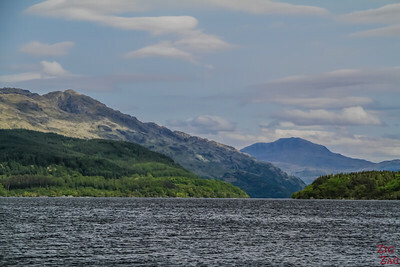 Drive back on A82 and to the South of Loch Lomond, enjoy a cruise from Tarbet or from Balloch. Discover Glasgow and its very different vibe from Edinburgh. Do not miss the St Mungo's Cathedral and the Glasgow University. 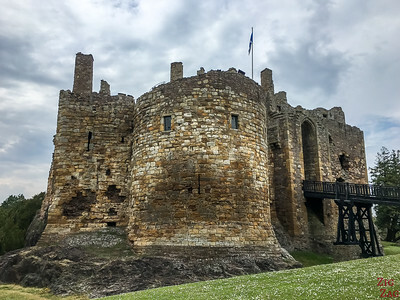 Below is an alternative for a Scotland Itinerary 7 days - It focusses on landscapes and historical sites of the Lowlands. Discover the massive fort and the many rooms to explore. Part in ruin, part still standing, the signs allows you to understand how life was in the castle. The ruins of Tantallon Castle are very impressive, especially as you can climb all the way to the top of the massive wall above the cliff. And you can add Dryburgh Abbey and Kelso Abbey too. Cross towards the West of the Lowlands via A708 one of the most beautiful roads in the lowlands. 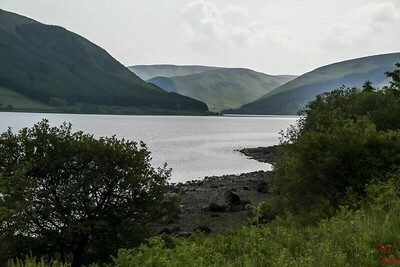 Enjoy St Mary's Loch as you drive along its shore. 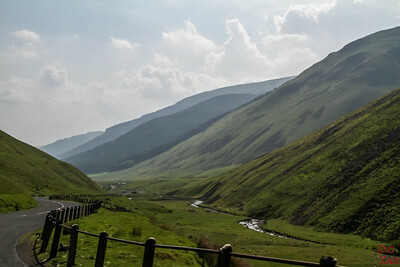 One of the most beautiful landscapes in the South is the valley around Grey Mare's tail. In the reserve, you can hike to a waterfall. 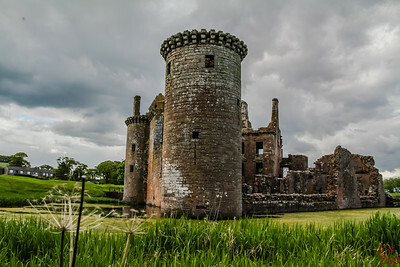 Caerlaverock is one of the most intriguing castles in Scotland with its triangular shape. Explore the inside and take the time to walk all around it to appreciate its shape. 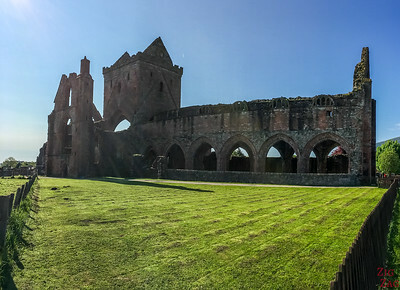 ​Discover the Sweetheart abbey and its story of love. And take the time to explore the charming village around. If you are lucky to have more times, you can combine the Scotland Itinerary 14 days with the 7 days alternative. Or you can add Glasgow at the beginning or at the end + after Day 10 Wester Ross and before Day 11 Inverness to drive up the the North Coast and take the ferry for a couple of days on the Orkney Islands. Renting a car is absolutely the best way to travel around. I wrote that you should avoid renting a car while in Edinburgh or Glasgow because it is a waste of money. But outside of those big cities, this is the best option! I thought my sentence was clear, but it seems not 🙂 so I have updated it. We are arriving Edinburgh Airport 0830 and staying two nights on The Mile. Plan is Jedburgh, Melrose, Rosalyn one day and The Mile, Edinburgh Castle, Mary’s Real Close and Calton Hill another. For the sake of time (and to travel south of Edinburgh), we plan to rent (and return) at the airport. Have been advised not to get car at the airport and drive in Edinburgh. What gives? Because of the limited number of carparks and the cost of parking in Edinburgh, a good option could be to rent a car from the train station for the day you want to go to the South, take it in the morning and return it in the evening.